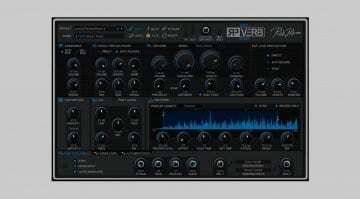 Rob Papen has released RP-Reverse, a plug-in that lets you get creative with reverse effects. 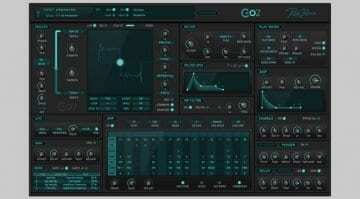 It comes with several modes for automatically sampling and reversing sections of audio, and adding them to the mix. Playing audio backwards has been a favorite of producers since the day the tape recorder was invented. It’s a hugely popular technique in all fields of sound design, be it complex textures, cinematic effects, or pumping beats. Unfortunately, the process often involves lengthy experiments and some deep thinking to get it just right. 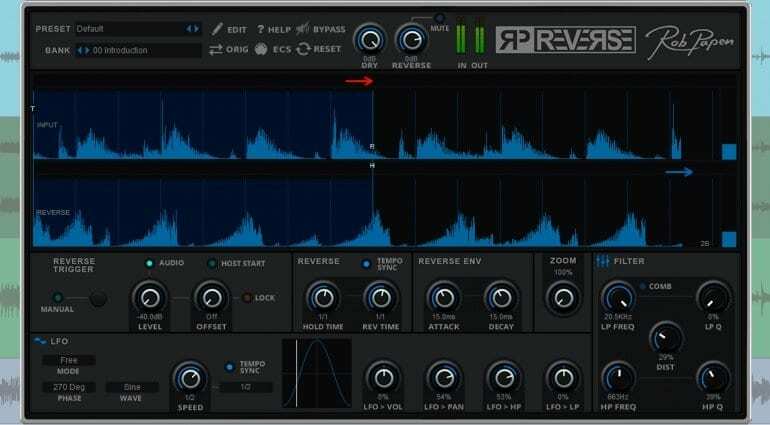 Rob Papen, the creator of many popular plug-ins like the Predator 2 synth and RP-Verb 2, has released RP-Reverse, a creative reversing tool that looks like a lot of fun. The plug-in records incoming audio and reverses it, displaying the original and reversed waveforms. The reversed audio can then be triggered and added to the mix in various ways. You can either trigger the reversed signal manually by pressing a button, which you can record to your DAW’s automation. Or select one of the automatic modes, which play the reversed audio synced to incoming audio events (with an adjustable threshold) or the tempo of the song. RP-Reverse also offers an envelope for adjusting the attack and decay of the reversed signal, and the mix ratio of the original and reversed signals is of course adjustable. Rob Papen RP-Reverse includes low pass and high pass filters for processing the reversed audio, as well as a comb filter and distortion. 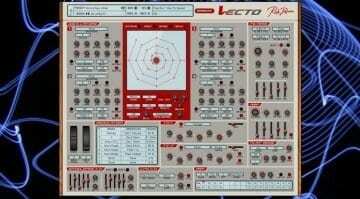 There is also a syncable LFO, which can modulate the volume, pan, and filters. Rob Papen RP-Reverse is available for Windows (32 / 64 bit) and macOS (64 bit) as a VST, AU, and AAX plug-in. The plug-in costs 39 Euros. RP-Reverse is also a part of the eXplorer 5 bundle. 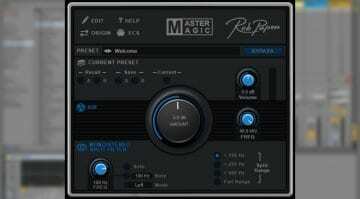 Rob Papen MasterMagic: A one-knob mastering tool that really works? Rob Papen RP-VERB 2 is in the air tonight!